Mohmudullah Riyad was born on February 4, 1986 in Mymensingh, Dhaka. He is a Bangladeshi cricketer. He is a player of Dhaka Division & has played First-Division & has represented Bangladesh ‘A’ in all forms of the game. Mohmudullah Riyad is an all-rounder. He is lower or middle-order batsman as well as an off-spain bowler. Mohmudullah Riyad is the first Bangladeshi who scored hundred in 2015th World Cup. In 2015, Mohmudullah also has a very good mark in home series against Pakistan, India & South-Africa. Mohmudullah Riyad scored highest run in 2008/2009 home series & it was 710 runs at an average of 54.61. It was against West-Indies. He recalled to the ODI team to play against Zimbabwe in 3rd ODI & a tri-series with Sri Lanka and Zimbabwe. Mahmudullah Riyad made his first debut on July 9, 2009 Against West-Indies. At that time, he could not score good runs, but obtained the finest test bowling numbers in a match as a Bangladeshi on debut, with an eight-wicket haul, including a 5 wicket haul in the second innings. For this, Bangladesh won a first foreign test match. Now, Mohmudullah is a regular player in Bangladesh national team. 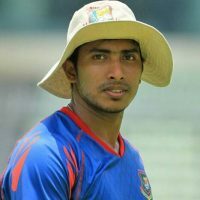 In BPL (Bangladesh Premier League) 2012, Mahmudullah was bought by the Chittagong Kings for 110,000 dollars. It was really possible for his outstanding performance. In T20 World Cup-2016, on 23 March Mohmudullah Riyad made a very big mistake. He could not able to hit 4 runs with a easy ball by an Indian player. For this, Bangladesh lost a winning match against India by 1 run. Bangladesh team needed 2 runs with 3 balls. Unfortunately, 2 good batsman out with 2 balls, Mahmudullah was one of them & other one was Musfique. No need to mention that, Mahmudullah Riyad & Musfique both married sibling. In the 2015 ICC Cricket World Cup, Mahmudullah scored the first century as a Bangladeshi batsman in World Cup history & it was against England . Bangladesh won the match and went to Quarter Final. On the next match he also scored century against New Zealand, although New Zealand won by 3 wickets. In six matches in the World Cup he scored 365 runs at an average of 73.00. On June 25 2011, Mahmudullah Riyad married Jannatul Kawsar Mishti. 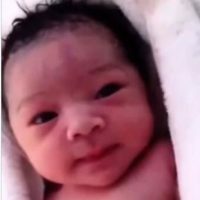 On June 3 2012, he became the father of a son. Mahmudullah love them very much. Mahmudullah Riyad awarded Man of the Match in one day international cricket and those was against West Indies in 31 July 2009 & 8 December 2012, Zimbabwe on 28 November 2014 and England on 9 March 2015.